Location : Where am I again? Personality: Strict, somewhat militant, but concerned for his comrades all the same. He’s a generalist spellcastor, not specializing in any specific element, and obviously doesn’t lean towards one morality or the other. As such, he’s very perceptive of both magical and spiritual activities. He’s learned to become political as spellcastors start becoming more famous, being the youngest on the Magical Board and their primary spokesperson. He detests magic users that hire themselves out to the highest bidder. Though he does acknowledges their usefulness and often power. He has a natural dislike of Yuri Romanov, having worked with him before. Flexible to the point of ignoring prior duties, he can bring fresh outlooks, and has, to old guards. He’s no stranger to the battlefield either. Being on the Magical Board of Directors at one time, he’s quite the public speaker, when given enough time to prepare a speech. While not a genius, he has overcome obstacles with sheer determination and willpower. This, along with the training necessary to become a spellcastor, makes such abilities dealing with mental states a waste of energy for the most part, depending on what they do. Generally nice, he does get aggressive with those that threaten humans. Like most magic users, he fears the Rune Blade for its rumored abilities. He also fears leeches due to a traumatic childhood, and hates to the point of fear the sight of blood being used as a weapon. He knows when a situation is near hopeless, and knows when to take advantage of one that isn't. His viewpoint is fairly neutral when concerning the shinigami and vizards. A natural leader, he brought with him his personal cadre of skilled spellcastors to act as his personal guard. Having made a pact with Monoliths, allowing him to summon several different kinds, he is often stereotyped as stoic and unmoving. He often makes jokes about this to his comrades. He also has a strong sense of justice. Just the same, he also does feel some remorse, especially in regards to Angel’s pack and Yuri Romanov. And thus, since reading the details of what happened and becoming the Coalition Leader, wishes to make it up with them. While fluent in most European languages, he is most fluent in Japanese, Chinese, and English. Having had a psycho aunt and a jealous cousin, he’s had his fair share of misfortune. His understanding of such things have made him the go to guy for comfort or talking about your own problems. He also loves teaching/training others, as a sort of pass time between paperwork and attending to priority duties. Fears: the Rune Blade, leeches, characters that use blood abilities. Accessories: Varies, but always two reiatsu suppressors, one ring and one ear ring. General Fighting Style: As a generalist magic user, he has a very wide variety of spells to use, making him a little unpredictable and very flexible. While not particularly fast, he does blend in the “true” battle mage spells to help him react faster to physical attacks, and even overpower them should they stick to physical combat (though he’s already fairly strong himself). Like most high leveled magic users, he has a rather large amount of energy, and makes heavy use of it. He makes use of his Monolith summons to anchor battle lines and give the enemy even more to worry about. Strengths: Vast amounts of energy: He requires two reiatsu suppressors to keep it contained with any amount of success. That should speak for itself. Physical strength: He’s only above average, so a full on strength is a strength will overpower him. Sensing: While he’s not as analytical as Alexander Kerensky, he’s still a very good sensor. After all, his vision isn’t the best. Weaknesses: As a character flaw that could be exploited in times of mass/team battles, he’ll defend his people from attacks that would kill them, even taking damage himself. His average durability would not allow him to continue this for long. Speed: He’s only below average, so it’s not too terrible. But still enough of a hindrance. Vision: His vision isn’t great, but also not completely blind either. He is also color blind. This is characterized by his red eyes. His vision is half of that of a normal person. Spiritual pressure: Because he has so much, it is very easy to sense him. It only becomes hard to find him if he actively suppresses it, but can’t completely hide it, unlike Yuri. Quirks: Mental Fortitude: Abilities dealing with disrupting his concentration and mental states, whether it's attempting to distract him to bringing his worst fears to life, very often fail. This comes from his own mental training and the standard magic user training as well. This doesn't mean they won't work, just unlikely that it would affect him the way they're supposed to if at all. For other types of illusions, he has 60% resistance to it. Spiritual Mapping: By taking off one of his reiatsu suppressors, he can manipulate his spiritual pressure into forming a map of a 40 yard area in his head, using the disturbances to map it. And detect movement of any sort. From a thrown rock, to a person moving. However, this also has the bad side effect of occasionally a spell will not work, go haywire, explode, etc. Note: Due to the way his powers are like, he is to be treated like a Sinner, meaning he is always at max power for his tier. He can also use his magic anywhere, but must point towards their general location with anything. There are exceptions to one or the other, but they are either weak magic spells or the Limit Break spells. Outside of those, there are a few exceptions, but some action must usually be taken to activate them. Also of note is that all spells are learnable if the person satisfies three conditions: they do not have powers of their own, that they can see spiritual beings, and are human. The ones with seals form fast enough where you can't run through them, but slow enough you could put up a shield, dodge them by the skin of your teeth if they're close ranged, use a teleportation ability, etc. There is a "room" gimmick, however, it is permission only from victim. Weapon Summoning: He summons a special katana (in his appearance pic.) that was a family’s heirloom. He took it and infused it with magic, giving it a single ability, beyond being summoned. A grey magic circle appears, out of it coming the sword, with or without the sheath. It has a single ability. Once per post and with a one post cooldown, the blade, not the hilt, can become intangible, but only briefly. It will not rematerialize when stuck into something. But returns to that state fast enough to make a proper attack at an opponent that attempted to block it. For example, Yuri is defending with his Heaven’s Gate sword, and Kai swings. The blade goes intangible, allowing it to go through Yuri’s sword. Before it reaches him, it becomes solid again. It then cuts him. The sword is named Yen-Lo-Wang, after a Chinese God of Death. Barrier Type II: He makes a movement like he’s opening/closing a shower curtain. Hexagonal planes appear in a half oval/circle that sort of bends light so you know it’s there if you can’t sense it. It can block up to a Gran Rey equivalent, but that (the Gran Rey equivalent) will shatter it and continue at half strength. This only blocks non-physical elements and energy based attacks. When using it on the go, the panels can separate and be moved around (24 panels total), each blocking up to a hado 45. When like that, they gain a reddish tint. 2 post cooldown. 1 post duration. Protect: Think two of the Tri-force symbol making a Star of David in appearance. This spell only blocks physical abilities/attacks. Can block up to 3 heavy hits, or 1 VERY heavy hit, or 6 moderately strong hits, or 12 light hits. 1 post cooldown. Absolute Defense: Two small magic circles appear at the hands. 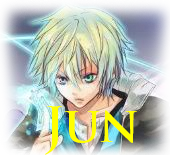 A sky blue sphere completely surrounds him. This can block up to a Hado 54 spell (that spell is included). It makes no difference as to the type of attack. 2 post cd. Mage Disc: While it can be used as a defensive spell, it’s mostly used to allow a magic user to fight in mid-air. He can form a disc large enough for a person to stand on it. It can also be used as a shield but can only block bala leveled attacks (and only up to 10 of them) and weak melee attacks/bullets. Mirror Shot: A magic circle with a shield in the center appears, summoning a mirror out from it. It will bounce back any energy/non-physical elemental based attack right back. Anything physical will shatter the mirror and will either continue to try to hurt him or just fall to the ground depending on distance and strength it was thrown/fired. Like a bullet will continue through while a bone spike will lose speed and momentum and fall and skid to him. Anything equivelant to hado 90 and up will not be bounced back, and naturally area of effect moves. 2 post cooldown. Saw blade: A grey magic circle appears, firing a saw blade. The saw blade ignores most types of barriers, shattering through ones that blocks purely physical stuff like a bullet going through a non-bulletproof glass windshield. This means it also ignores hierro and cuts through it like a hot knife through butter, no matter how strong. Oddly, stuff that blocks only non-physical elements and energy based attacks WILL stop it. If the shield blocks both, it will slowly chew through them. This does not apply to zanpakutou, etc. They can be melted/manipulated by the appropriate users. The saw blade is three feet in diameter. Multi-Saw Blade: Same as above, except can fire a barrage of them, up to two dozen at once. 1 post cd. Magic Missile(s): A fairly random ability. An orange magic circle appears and fires either three small (8 feet long, 1 foot diameter) missiles, one large (15 feet long, 8 feet wide at the widest) missile, or one huge missile (35 feet long, 10 feet diameter). The trio of small missile does little damage (hado 31 each) for an area of effect of 10 feet each missile. The large missile does the equivalent of a cero’s worth of damage over an area of 60 feet from the center. The huge missile does the equivalent of a hado 80 over a 100 foot area. This effects everyone in the area. Naturally, you can make them blow up earlier, but they require the appropriate amount of power to do that (only a little bit below the damage they do, like a hado 29 or 30 for each small missile, a hado 59 to 60 for the large missile, and a hado 78 to 79 for the huge missile. Those are the minimums.). 2 post cooldown if the small missiles appear, 3 post if the large one appears, 5 if the huge one appears. Spark: Electricity courses through his body and anything touching him that isn’t the ground. Including his sword, which if it goes intangible, retains the electric current. This lasts for two posts. If the person gets distance, he can bundle up the electricity, and fire it with the strength of a hado 40 and loses the electric current. 1 post cooldown. A yellow magic circle with a lightning bolt in the center appears before it is used/activated. This is characteristic of all moderately powerful and stronger lightning spells. Thunderbolt: A single lightning strike is fired at the opponent. It is as strong as a cero, and will make the part that it hit numb, and makes that arm, leg, torso sluggish and difficult to move for a single post. Can be used once per post. Magic circle appears for this move. Nova: A red magic circle with a fire symbol in the center appears (characteristic of moderately strong and stronger fire spells). It starts firing hado 31 leveled fire balls. However many as he wishes, 30 max per post, three post duration. The magic circle cannot move from its starting point, but can turn if he wishes it to. 1 post cooldown, starting when it is deactivated. Eruption: A fire pillar is fired the strength of cero. Ice-Storm: Small, blue magic circles appear in a 50 foot area, with a single, larger magic circle in the center. They have a snowflake in the center (need I repeat what I’ve been saying?). Ice shards gets exploded out. They will cut unless you have barriers or a decently powerful hierro. But each hit, whether they cut or not, there’s a chance that ice will accumulate. 10% chance per hit I might add (but each “explosion” also contains 25 ice shards). This can potentially slow down the opponent if they don’t break it off or melt it. For each ice accumulation, it’ll slowdown that part by 5% up to a max of 30% on the same limb (very unlikely), these can be broken off and melted with relative ease. That part has a duration of 3 posts. 3 post cooldown. Glacial Cannon: A single blue magic circle appears. A cannon ball sized, but gran rey cero powered, ball is fired. If this hits, one third of the victims body is covered in ice. Naturally, the ice is breakable/meltable. This accumulation also slows down and decreases the temperature of the parts it’s connected to. But only if it stays. This DOES NOT stack with any other ice accumulations. It slows down the parts by 25%. Lasts until the ice is melted/broken off or 3 posts have passed. 4 post cd. Vines: A weak plant based spell, so it doesn’t require a magic circle. It’s a quick defense spell for the most part. Thorny, green vines come out from the body/underneath the clothes and try to constrain them. They move at average speed (someone average in speed might get hit, but won’t be ensnared. ), and is poisonous (the poison is absorbable through the skin, and does not infect the user). The poison is a hallucinogen, making him appear to be the thing that the victim fears most. Or actions that the victim fears. This lasts for 2 posts, with a one post cooldown before they can be infected again (starts when the effects wears off). It does not stack and can be used again and again, just that the poison won’t infect until it wears off and a post have passed. They can obviously be torn away easily by someone of average physical strength. Bamboo Strike: A green magic circle appears, releasing several stocks of sharpened bamboo is fired. If they hit, from the inside of the bamboo, a needle is plunged into the person (yes, it can puncture tough heirro). It causes extreme drowsiness for a post for each bamboo stick that hits (max of five). 3 post cooldown, beginning when the effects wear off. Terra Drill: A brown magic circle appears. From it, a huge metal drill pops up and then retreats back into the magic circle, which then dissipates. In can penetrate tough heirro and powerful barriers. The downside is that it’s rather large (like, just as large as Arngrim), thus requires a larger magic circle, giving another second or two more warning than typical spells. 3 post cd. Mother Earth: Another powerful earth spell. The area starts shaking, and the brown magic circle appears either in a dome shape or in a sphere, 350 yards in diameter. Brown/green energy is released, gathering in the center. When it is done, the magic circle disappears, and the energy is fired. It is like getting hit by a hado 91. Not only does it give the opponent minor allergic reactions while charging within 50 yards of where the energy ball is forming, but if it hits, it causes severe allergy like symptoms for 4 posts (caused by some energy turning into powder like substance, when breathed, will do this). 1 post charge time, 5 post cd. Monolith Teleportation: He can teleport his monolith summoning to a different place. 1 post cooldown. Dispel: A yellow circle appears somewhere around the opponent. It then shatters. If the shards hit the opponent, any temporary boost or boosts from shikai+ are removed. The temporary boosts do not come back, and the move that started that needs to be used again. It first targets temporary boosts, and seals them. If none are active, then it seals those from increases of power, but it does not target both at the same time. They do not have them for 3 posts. 3 post cd, starts when the effects wears off. It only lowers them to the previous state. Like a person in shikai, thier boosts will revert back to their normal state. Or a person in bankai, their boosts will revert back to where they were in shikai. This doesn’t kicks them out of their form, just kicks out their boosts from going into that form. Haze: This spell is twofold. First, it distorts all types of sensing where all you get is garbage or can’t sense at all inside it, through a haze that appears in 60 yards. It also allows him to see through it completely and enhances his own sensing capabilities. But that’s not all. It distorts any attempt at using cero, quincy firing arrows (lessened by 70%, this includes most if not all quincy stuff), and other energy based attacks/barriers, weakening them by half if not outright denying their usage by messing with spirit partical collection. Lasts 2 posts, 3 post cooldown, starting when it disappears. Naturally, it can be blown away. Physical Enhancement: This spell temporarily doubles his physical strength and speed. Lasts 3 posts, 2 post cooldown starting when it ends. Does not stack with any other physical enhancement spells (regarding if they boost the same physical stats). Spell Enhancement: He uses a spell to superpower his spells in the way that their cooldowns are reduced by one. This does not affect cooldowns on lasting effects, just the actual spells. This does not apply to spells of gran rey leveled strength or above, and can only affect up to 8 of his spells (specified in RP). Note: They can be summoned twice each. But there is a seven post cooldown between the two. He can summon one monolith, it gets defeated, and then he can summon a DIFFERENT one (He cannot summon multiple of the same kind either, at once). But two different kinds cannot be on the same field. They also cannot be moved, unless he teleports them himself to a different location (something he’s unlikely to do). Each one is 3 tiers lower than him, and are each VERY durable (they can’t move). They attack with spells, each with a max possibility of three spells, usually with a theme in mind and sometimes fewer spells. They must be on the ground or a building/wall. CANNOT be on a person’s zanpakutou or anything like that. The link below shows all five of them in appearance. Just click the arrows on the picture to move through them. Viking Monolith: Attacks with ice spells. Ice needle: A ring of small blue magic circles appear, firing ice needles. Iceberg: Fires an earthen shaped ice blade is fired from a magic circle. 1 post cd. Icebeam: Fires a beam that has a 50% chance of encasing that body part in ice. 1 post cd. Undying Monolith: A gravestone decorated with bones and a red jewel in the center. Attacks with darkness and earth abilities. Dark Cyclone: A spiral shot of darkness energy is fired. The center part is the strength of a cero, but the trailing tendrils will hurt too, but very, very minorly. Cataclysm: A magic circle (guess what color) appears and a huge earth sword is stabbed out. It then explodes into dozens of spikes. Those spikes travel ten yards, then unleashes four more huge swords. 1 post cooldown. Dark Claw: A black and brown mixed magic circle appears. Out from it, an earth maw comes out and clamps down on the opponent. Darkness energy then explodes. 2 post cooldown. Ancient Monolith: Buffs allies and defends for the most part. Only has one attack. All the monoliths are incredibly durable, but this one is the most durable of them all. Physical Enhancement: The Monolith doubles anyone of its choice’s strength, speed, and durability for 3 posts. 2 post cooldown, starts when the effects wears off. Does not stack with other physical enhancement spells. Defense: It erects barriers near whoever it wishes to protect that can guard against anything short of a hado 90 leveled spell and absorbs the damage to it. 2 post cooldown. Ancient Blast: Its only attack, if fires an energy blast equal to a cero. Sky Monolith: A totem like monolith with floating stone hands with palms outward. It strikes with wind spells and can heal. The only one that could attack physically. The hands cannot move beyond 20 feet of it. The hands are also solid stone, so they’re not articulate. 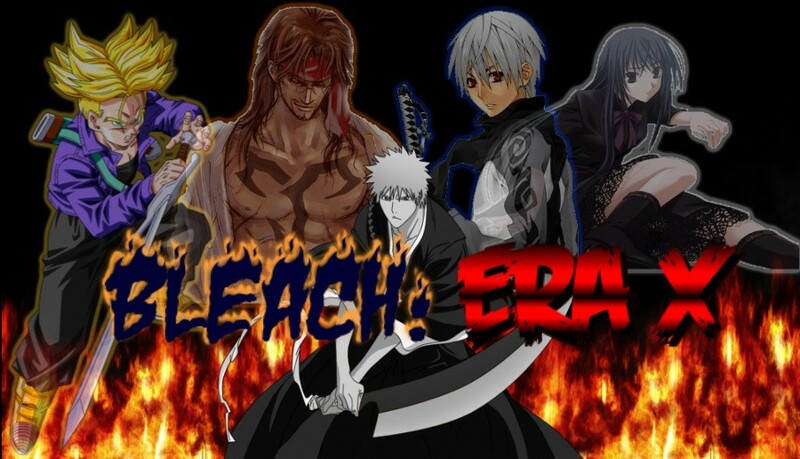 Recovery: It can either heal Kai or his allies at the rate of an arrancar with average regeneration or heal itself at the same rate for 5 posts. 3 post cooldown starting when it stops healing. Gust: Fires gusts of wind that can cut. They are weak, with the strength of a hado 31. Hurricane: Fires a larger and stronger gusts of wind. These also cut, but can also redirect cero leveled attacks. Has a 1 post cooldown on the redirection part. Cosmic Monolith: Has a single attack. And a single defense spell. Doomsday: This dark energy beam rips space near the target, and then explodes. This is equal to a cero oscuras. 4 post cooldown. Disappear: This move can be used twice per post. Essentially, it goes into another dimension long enough to avoid an attack, then reappears in the exact same spot just a few seconds later. Ion Cannon: This spell requires 4 posts to charge up. He is in fatigue state afterwards, if he’s not caught or anything by the blast. In the sky…as in lower orbit, an enormous magic circle appears. What comes out of it is the thing seen in the below picture. It fires a red beam of neutral magical energy that hits an area that is 300 yards in diameter. The shockwave will knock down small buildings, move vehicles, and shatter windows. It is like getting hit by a couple of hado 96s. The user needs to be extremely careful when using this attack. Anyone with any significant amount of power can resist the shockwave. Due to how far up it is, which the magic circle is more easily visible during nighttime, it takes an additional post for the beam to even hit the target area. It is also very easily sensed if one can sense spiritual pressure. Kai also becomes more conservative when charging this powerful attack, and has enough power to use a Monolith summon and two of his defensive spells after it goes off, and very little afterwards. This is a once per thread attack. 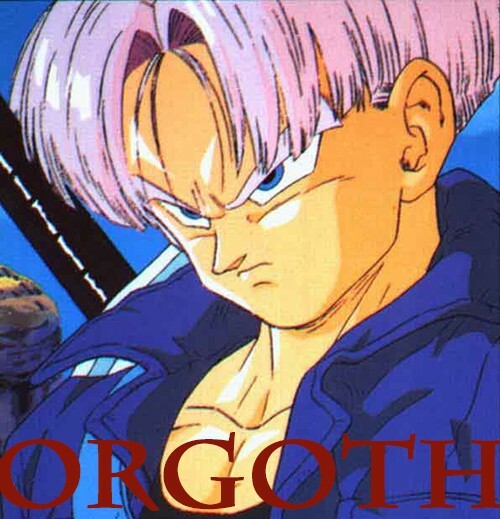 He recovers from fatigue state 8 posts afterwards, but has very limited amount of energy left, especially after fighting awhile before using this spell, but certainly not enough to continue a fight much longer if any at all. Background: He was born in Hong Kong to a Europeaon father and Chinese mother, hence his duel names. His father was partially Chinese as well. His mother was the daughter of a ruthless Triad Dictator that was also mentally insane, along with her sister. The company his father worked for were at odds constantly with Maximilian Laio, and the two companies were essentailly at war. When Kai was born, his grandfather had finally snapped after his brutal defeat, and his aunt took over. Kai's childhood was mostly normal. Mostly because his father was a magic user. And when his mother went with him, she enrolled Kai into one of the best Magic Schools in Europe. However, his life was also rather tense. His psycho aunt had sent numerious assassins after Kai's parents, and even targeted him. One particular assassin used leeches to torture him into trying to find his parents' location, only to be brutally killed by sheer accident by the young and petrified Kai. Because of this...he gained a fear of leeches. Rescued by his father's agents, he spent almost 8 months in rehab. When he was 12, two years after the leech incedent, he met for the first time a magic user that used blood as a weapon. A transfer student who was tearing through the ranks at an astonishing rate. Kai was put up against him. It was from this magic user that Kai developed a fear of blood being used as a weapon...though he overcame the student and defeated him. It still haunts him to this day. As soon as he was 18, he started working straight away with the Magical Board as an assistant. When he was 22, he was sent on a mission to work with a very young mercenary that was recently called the heir to Holy Magic, weilding the Heaven's Gate sword. In Jamaica, he met the 16 year old Yuri Romanov. And almost immediately the two hated each other. While they got the mission done...it was messier than it had to be. After a few more encounters with mercenary magic users...he decided that it was instinct that he hated all of them that sell themselves like that. Though he couldn't deny their usefulness or power. At 26, he was made an official member of the Magical Board of Directors, being by far the youngest to achieve the rank, with the next youngest being 20 years older than he was. However, his cousin, born from his psycho aunt who was killed by his mother for killing his father, lurked in the darkness. Soon after, Sun-Tzu struck. And failed. However, he had done considerable damage to Kai's reputation. And still lives. Two years later, he had regained most of it back, but the lack of leadership for the Coalition and the attack on New York City, and the leader vanishing, prompted him to make a stand. 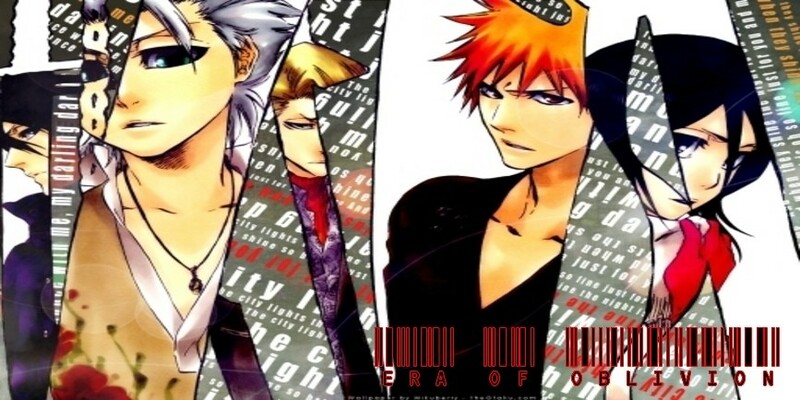 RP Sample: I have a hyperactive lightning midget, a complex and very different arrancar, an older brother shinigami, an eccentric and leader material of a shinigami, a workaholic bounto, a teenager, a punk werewolf, and a holy magic user. Do I really need one?